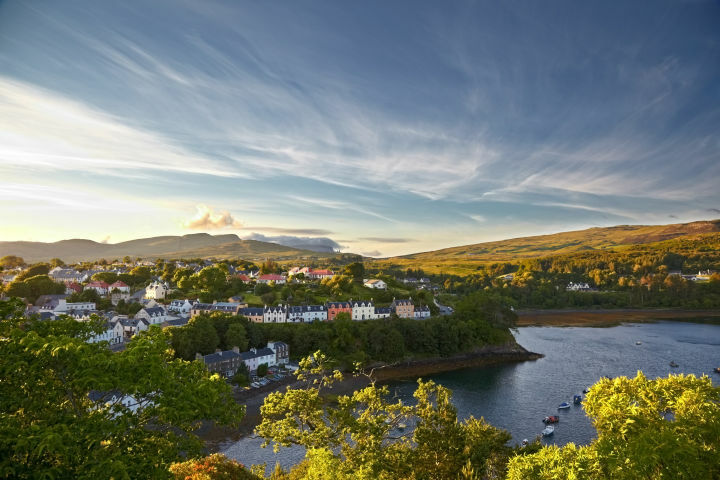 New for 2015, Portree is an ideal location for outdoor enthusiasts or those wishing to explore the beautiful Isle of Skye. 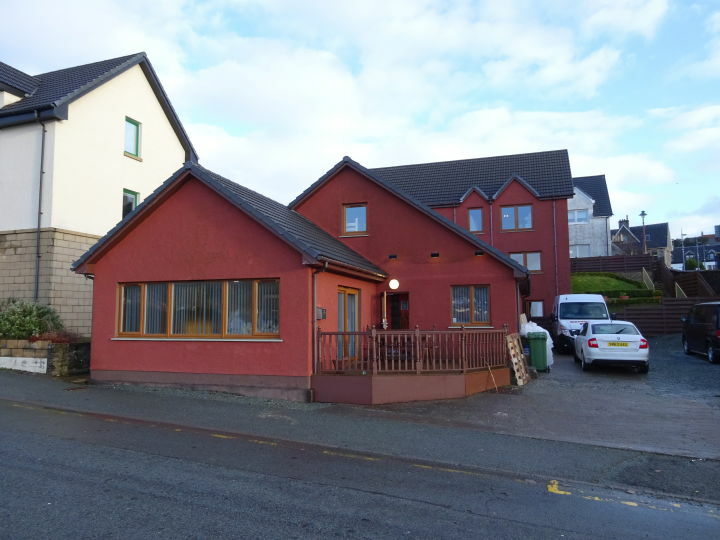 This youth hostel is located in the heart of Portree, the capital of Skye, and one of the most famous destinations in Scotland. 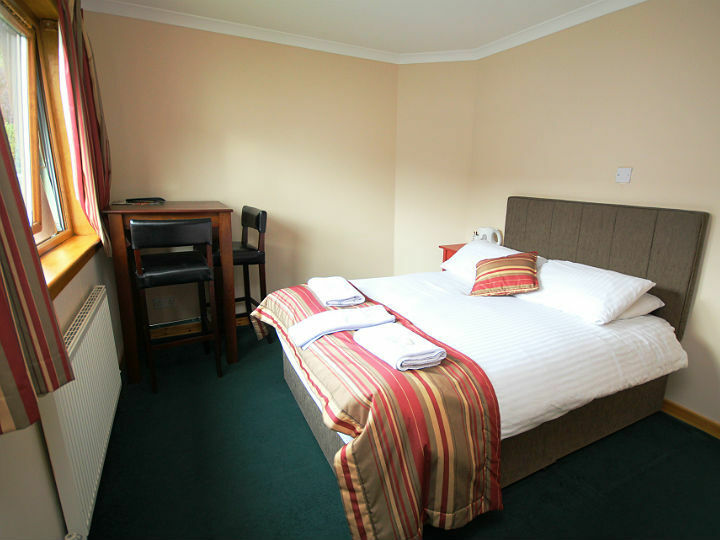 The bus station, town square, galleries, shops and restaurants are only a couple of minutes’ away. 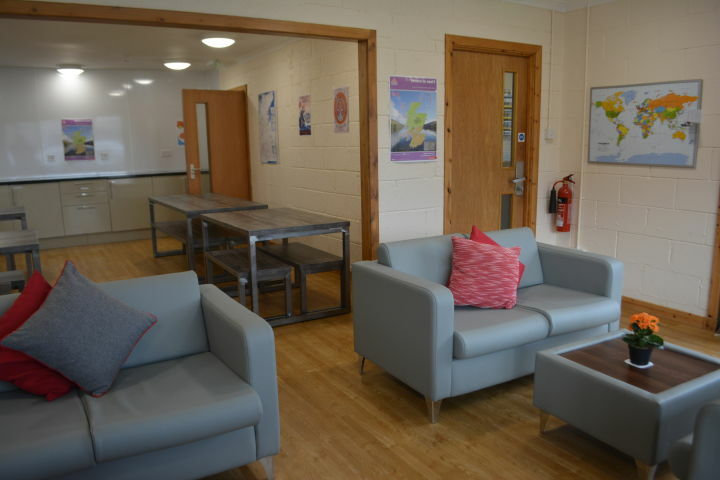 Portree is also the home of the award-winning Aros Centre. 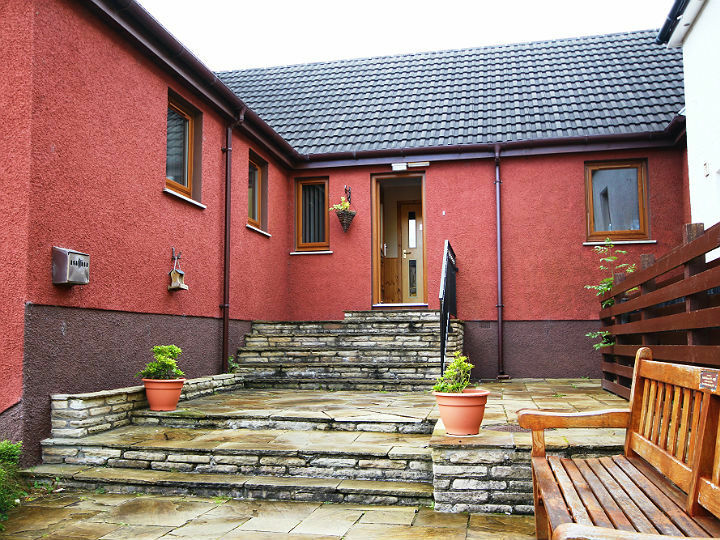 Portree offers modern accommodation in an ideal location for outdoor enthusiasts or those wishing to explore the beautiful Isle of Skye. 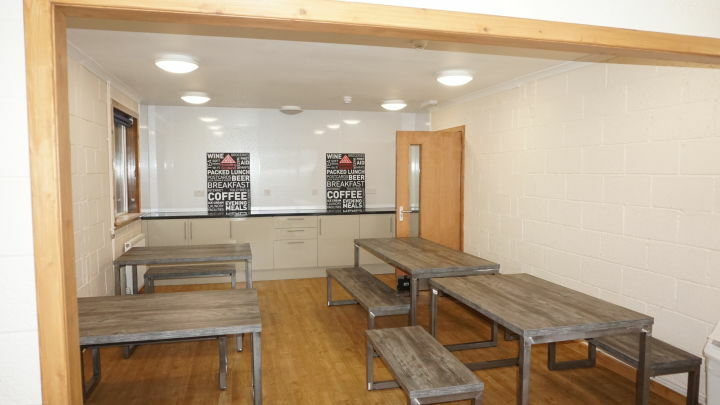 With a mix of private en-suite rooms and dormitory accommodation there’s something to suit both groups and independent travellers. 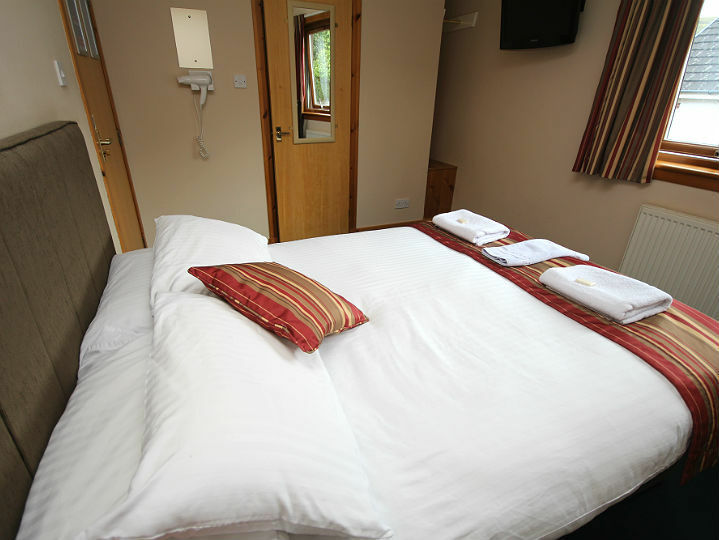 Go on your very own adventure exploring the island and come back to comfortable accommodation for a good night’s sleep. 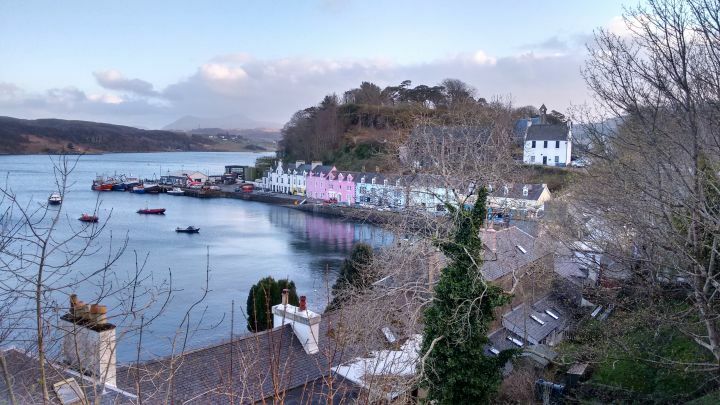 Portree is a popular destination for all types of travellers, ideally located for those wishing to explore the town and also experience the attractions and hospitality that the Isle of Skye has to offer. The spectacular scenery of the Trotternish Ridge is just to the north of the town, dominated by weird and wonderful rock formations such as the Old Man of Storr, Kilt Rock and the truly extraordinary pinnacles of the Quaraing. 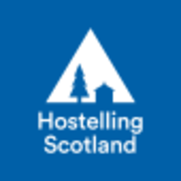 Other popular activities include walking, cycling, pony trekking, boat cruises, coasteering and wildlife spotting, perhaps catching a glimpse of one of Scotland’s rarest birds of prey, the White Tailed Sea Eagle. 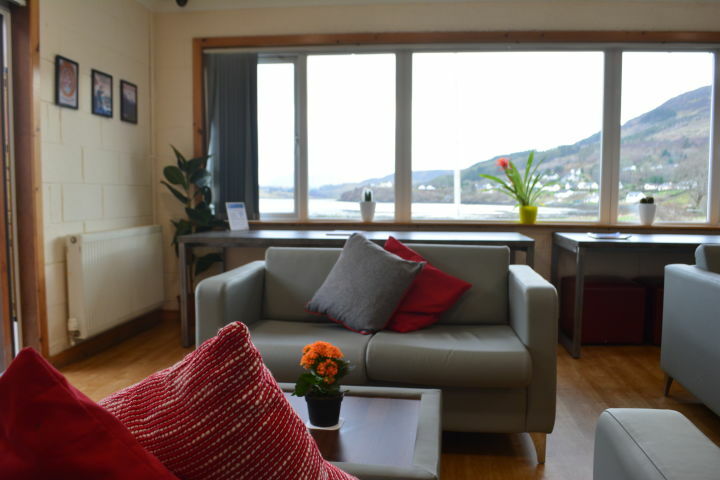 The Portree hostel is in the middle of the town, with excellent views over the loch from the lounge area (nice info and brochures). 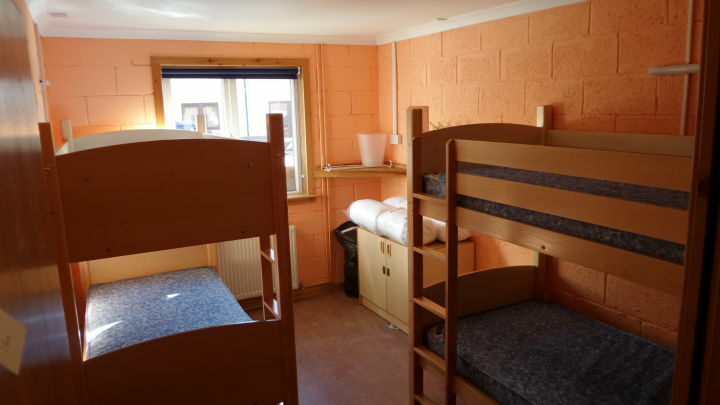 The narrow hostel has some dormitory rooms in a separate building which does not connect to the kitchen/dining room area, so you have to walk outside. 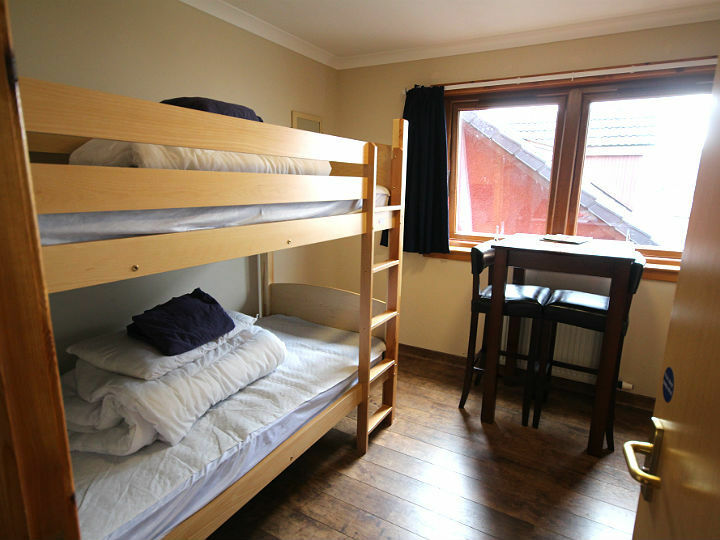 Accommodation in Portree is in great demand, and the hostel private rooms are priced higher than other Scottish hostels. Some rooms get humid inside from steam escaping from the shower in the inner en-suite bathrooms. The bathroom and room was musty and had a terrible smell that did not go away even though we kept the window opened and the dehumidifier going for the entire stay. 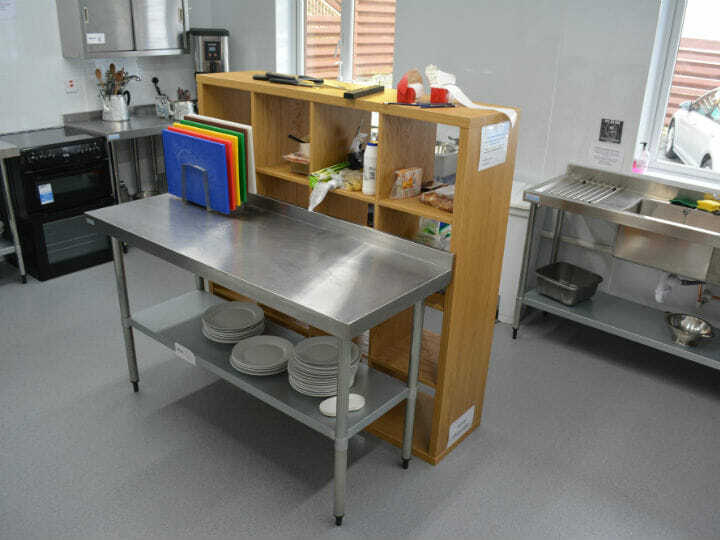 We asked the staff and they said they knew about the smell and it’s likely something behind the wall. This is potentially a health hazard and the room should not be rented if that is the case. Very disappointed. 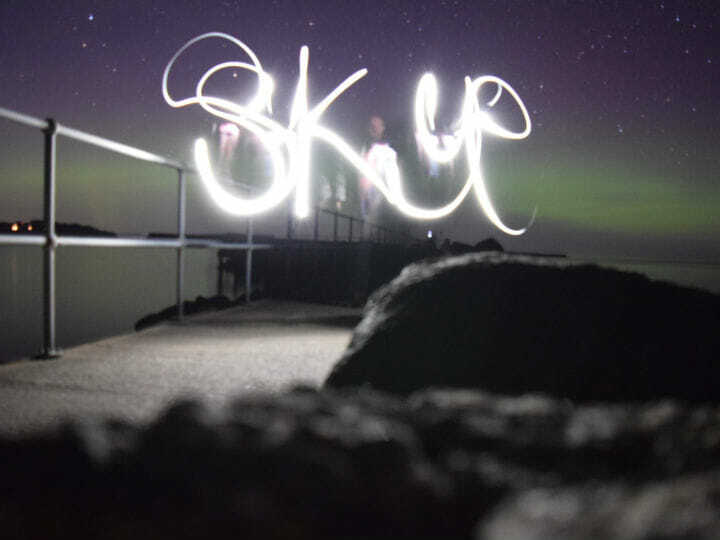 Especially because the room fee was one of the highest for the SYHA hostels! Me gusto la ubicación y la amabilidad del personal. La cocina también está muy completa. La relación calidad-precio no fue la esperada, creo que la habitación es muy básica para el costo. 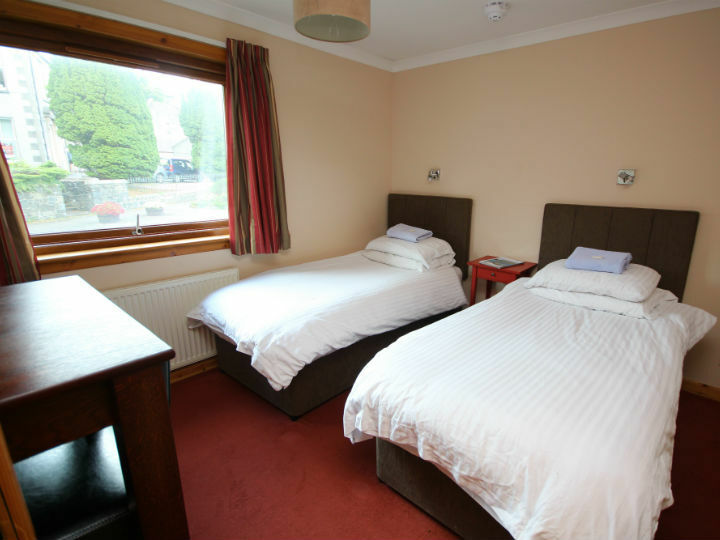 Portree can be reached by direct buses from Glasgow and Inverness and the bus stop is only a couple of minutes away from the youth hostel. From the Skye Bridge it takes approximately 50 minutes to drive to Portree. 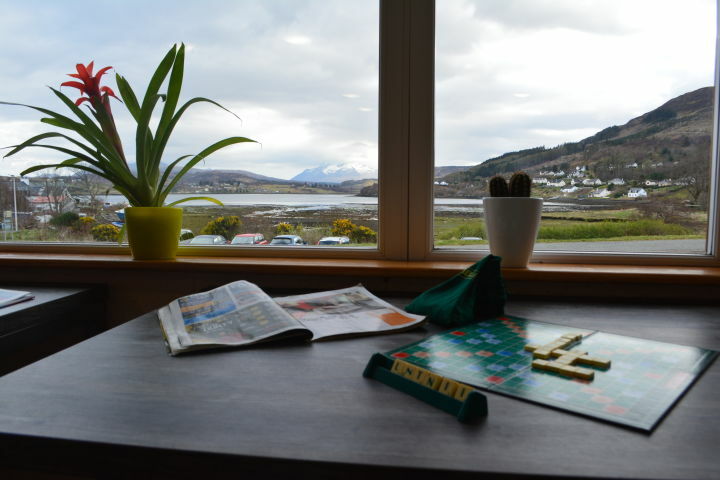 After crossing the Skye Bridge the road passes through Broadford then past Sligachan with great views of the Cullin mountains until it reaches Portree. On entering Portree town continue past the Aros Centre and Portree High School on the left. Close to it is a turn off signposted to Dunvegan and Uig - keep to the main road to the right. 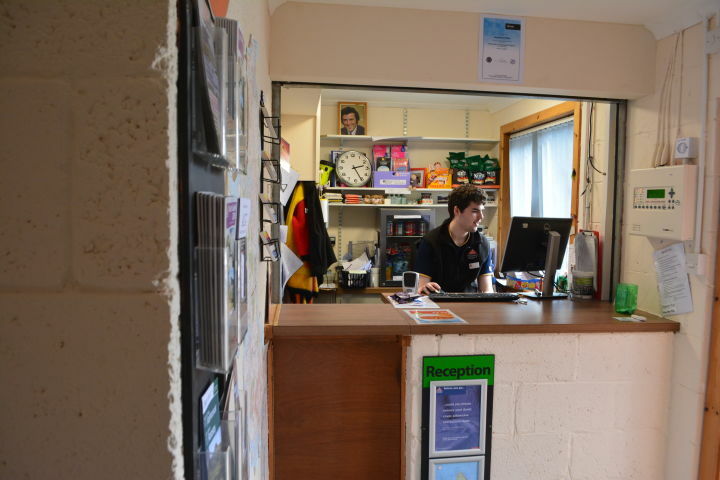 The next turn off to the right signposted for free public parking leads to the carpark and to the youth hostel's main entrance and reception.